Learn how to make Crème Brûlée! It is a very easy and quick process. Just 5 ingredients and 15 minutes of active preparation time needed. Ultra creamy vanilla cream topped with a crispy sugar crust. 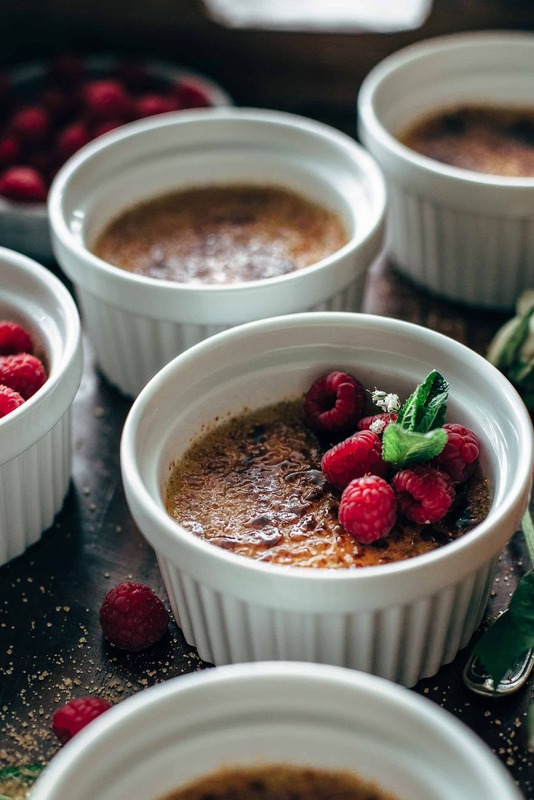 Crème Brûlée is a very subtle French dessert what every home baker should do once in his life. 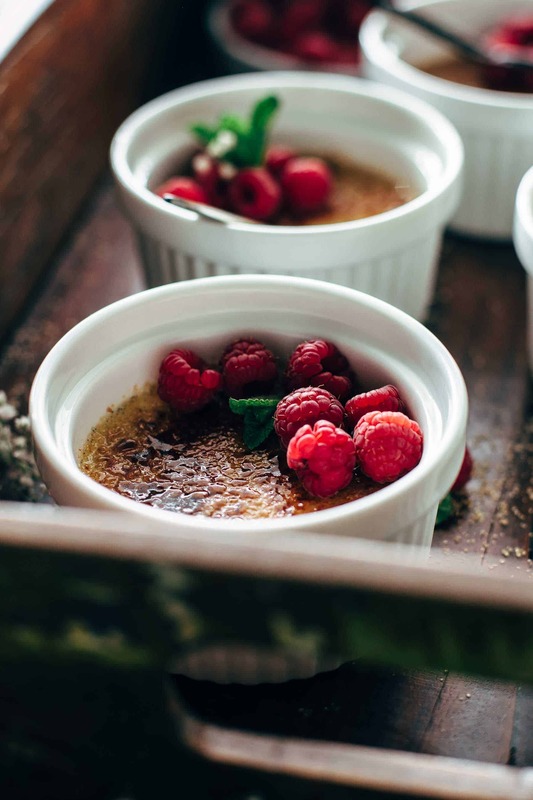 I guide you through this very easy and quick recipe that you learn how to make Crème Brûlée. 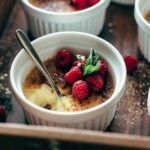 This Crème Brûlée recipe is made in a bain-marie. Some Crème Brûlée recipes are made without a bain-marie, but I found out that the consistency is much better and creamier when made in a bain-marie. Making Crème Brûlée is also a clean process because you just need one bowl and one saucepan. You ask how to make that crispy sugar crust on top? With a kitchen torch. Not a special Crème Brûlée torch. Just a simple kitchen torch what you would use for kitchen made s’mores recipes. Let’s start with the vanilla beans. To know how to split and scrape out a vanilla bean is something you learn for life. I show you exactly how to do that. 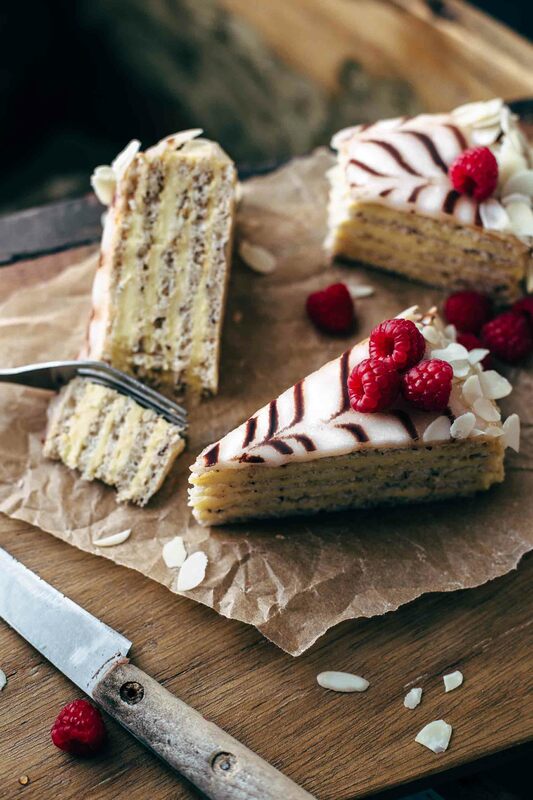 For many other desserts, it’s ok to substitute vanilla beans with pure vanilla extract if preferred. But I don’t recommend that for Crème Brûlée. The taste of the real Bourbon vanilla beans is much better than any extract. And because vanilla is one of the main flavors in Crème Brûlée you should go with real Bourbon vanilla beans. Cut off both ends of the vanilla bean. Then place the tip of a sharp knife on one end and cut through the middle of the vanilla bean lengthwise. Then open the vanilla bean. Scrape out the vanilla seeds with the back of your knife. 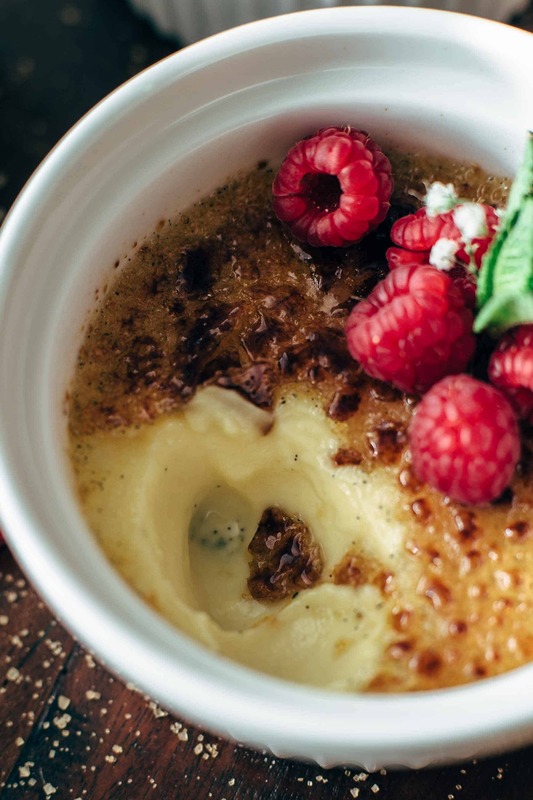 You kneed the scraped vanilla beans and also the vanilla seeds for this Crème Brûlée recipe. Heat whipping cream and the scraped Bourbon vanilla beans in a medium saucepan for a few minutes. Don’t boil. Then let stand for about 5 minutes to cool down. Meanwhile, mix egg yolks, sugar, and the vanilla seeds until pale yellow. This will take about 2-3 minutes. Pour in warm whipping cream but without the vanilla beans. Stir to combine. 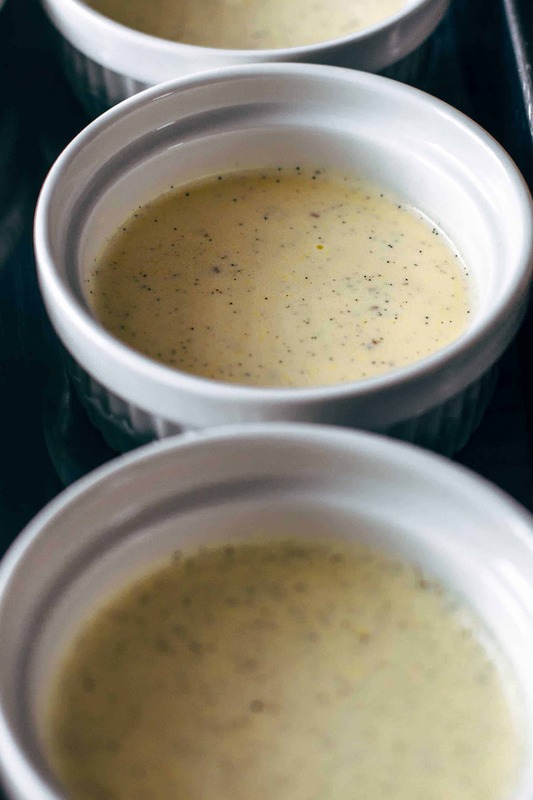 Pour into six 1-cup-sized ramekins. 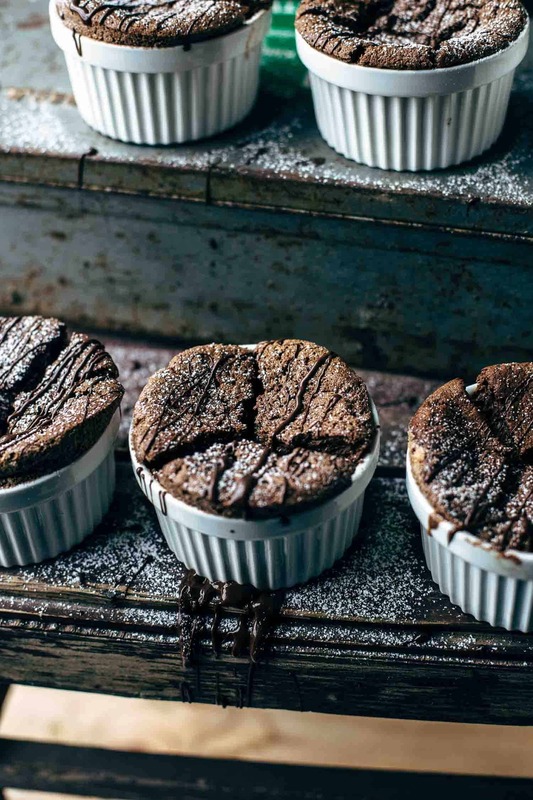 Place the ramekins in a 9×13″ baking pan and fill up with water until the ramekins stand 3/4 in water. This technique is called bain-marie. It is a water bath what makes sure that the Crème Brûlée cooks slowly and evenly. This leads to an ultra-creamy texture. Then bake for about 45-55 minutes. The Crème Brûlée should wobble like pudding or jelly when lightly move. Do not overbake until set otherwise it is getting too firm and has not the typical Crème Brûlée texture anymore. Cover with plastic wrap tightly and refrigerate at least 4 hours or up to 2 days. Is there a special kind of Crème Brûlée torch needed? No. There is no special Crème Brûlée torch needed to make the crispy sugar crust. Use any kitchen torch what you get everywhere on the internet or in the store what you would use for toasting marshmallows, meringue, or kitchen made s’mores desserts. After chilling it’s time to make that super delicious crispy sugar crust what the Crème Brûlée is well known for. 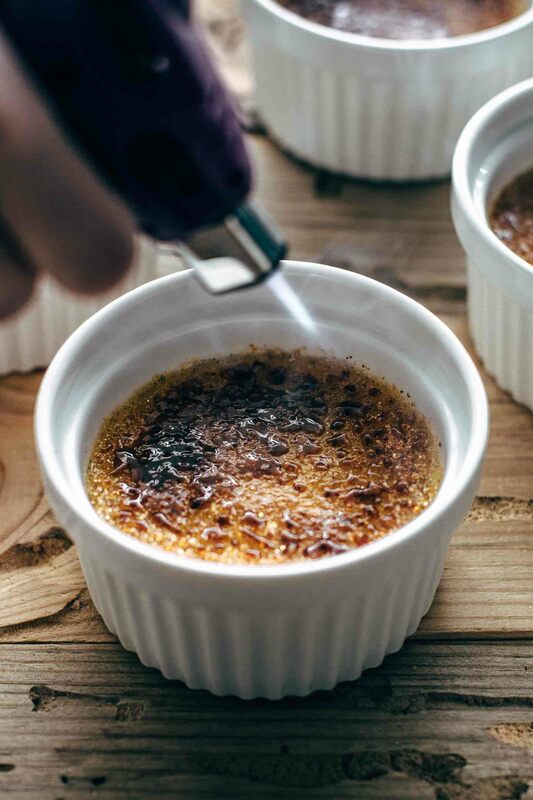 For the crispy crust, I used brown sugar in this Crème Brûlée recipe. The strong and intense flavor of the brown sugar is a perfect fit for the delicate vanilla cream. The vanilla cream itself is not intensively sweet. It is just 1/4 cup of sugar in the vanilla cream. Once it is melted, the brown sugar has an intense caramel taste and is a dreamy combination to the intense vanilla flavor. To make the crispy sugar crust, sprinkle each Crème Brûlée with about 1 + 1/2 tsp of brown sugar and melt with a kitchen torch. Move the kitchen torch over the sugar to melt evenly. Don’t point too long on one spot or the sugar burns and this can cause a bitter taste. If you don’t like the taste of brown sugar, replace it one by one with white sugar. 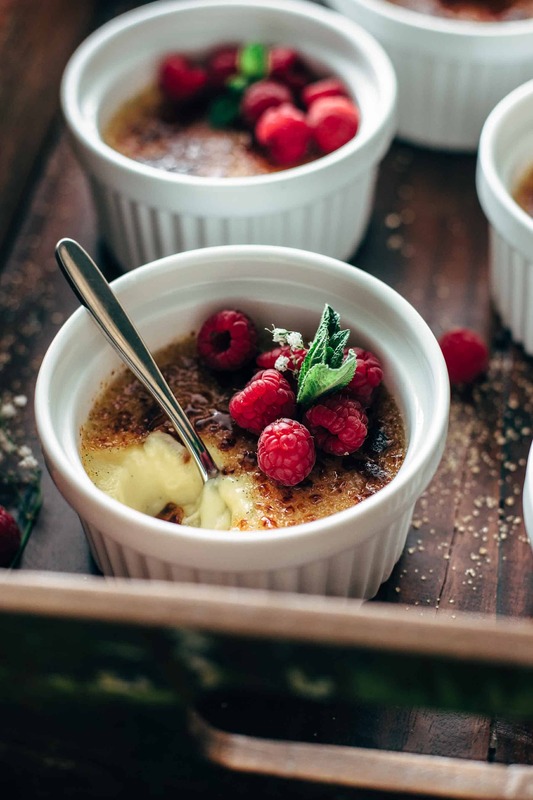 Top the Crème Brûlée with lots of raspberries. Trust me. A game changer. 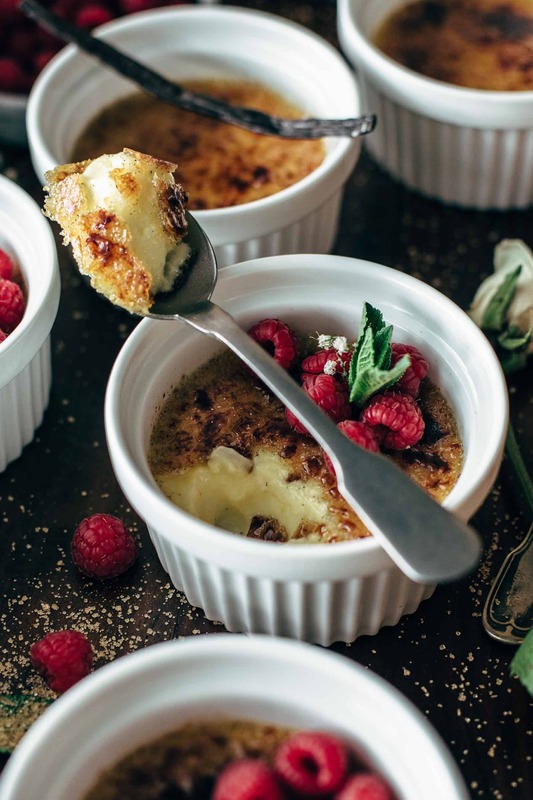 If you make this Crème Brûlée recipe, leave a comment, rate it and tag a photo #alsothecrumbsplease on Instagram! Would love to see your snap! 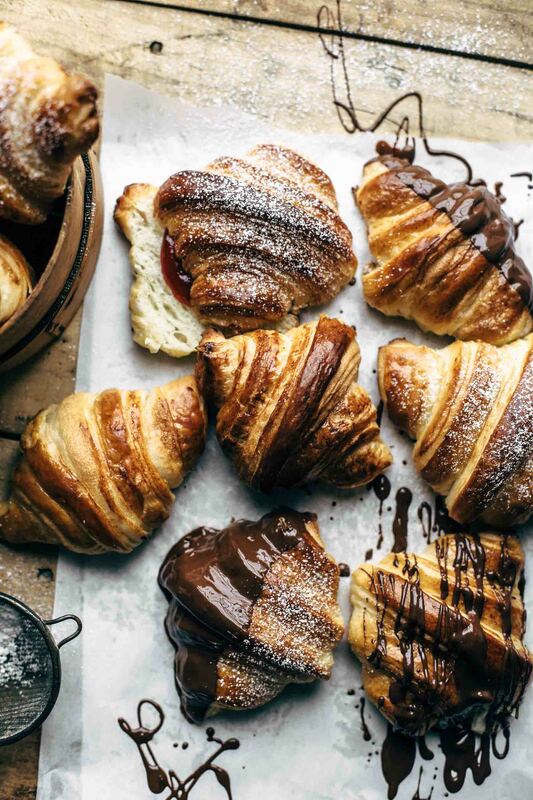 You may also like Easy Chocolate Soufflé Recipe, The Best Homemade Croissant Recipe, Chocolate Cream Puffs, Hungarian Esterházy Torte Recipe, or click here to see more European desserts. Learn how to make Crème Brûlée! It is a very easy and quick process. Just 5 ingredients and 15 minutes active preparation time needed. Ultra creamy vanilla cream topped with a crispy sugar crust. Cut off both ends of the vanilla beans. Then place the tip of your sharp knife on one end and cut the vanilla bean through the middle of the bean lengthwise. Although you don't need to cut it all the way through, it's ok when you do so. Then open the vanilla bean and scrape out the seeds with the back of your knife. In a medium saucepan heat the cream and the scraped vanilla beans over medium-low heat for 3-4 minutes. Don't boil. Let cool 5 minutes. 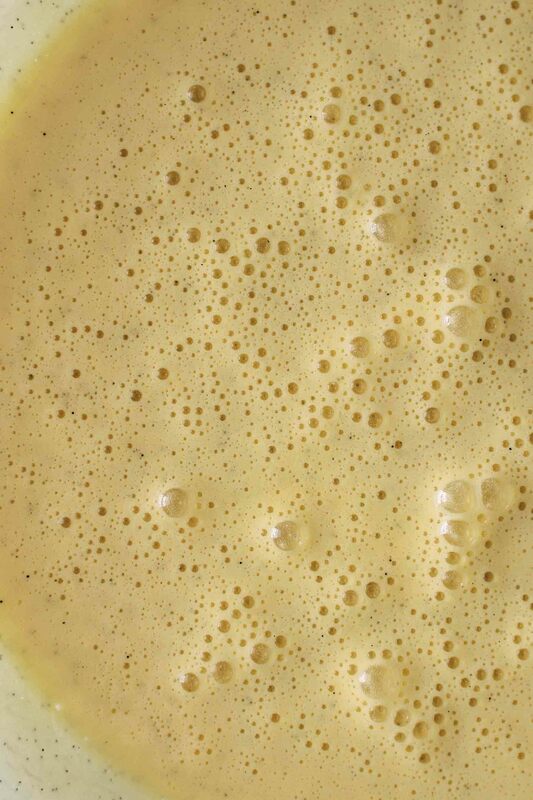 Meanwhile, in a large mixing bowl mix with a handheld or stand mixer fitted with a whisk attachment, egg yolks, sugar, and vanilla seeds until pale yellow for about 2-3 minutes. Add heavy cream but remove the vanilla beans before. Stir to combine. Pour through a fine mesh strainer to remove almost all air bubbles. Divide into six 1-cup-sized ramekins equally. Place ramekins in a 9x13" baking pan and fill up with water until the ramekins stand 3/4 in water. Bake for 45-55 minutes (I baked mine exactly 50 minutes). The Crème Brûlée should wobble like a pudding or jelly when move. Don't overbake. Then remove from water bath and let cool to room temperature. Chill 4 hours in the fridge. Before serving, sprinkle each Crème Brûlée with 1 + 1/2 tsp brown sugar and melt the sugar with a kitchen torch to get a crispy top. Let cool 5 minutes before serving. Store leftovers (without the sugar crust) in the fridge up to 2 days. Thank you so much, Albert! I’m happy that you like this recipe.